We are the leading supplier and the manufacturer of theShrink Packaging Machines all acrossIndia . Owing to our vast industrial experience in this domain, we are devoted towards offering excellent range of Shrink Tunnel Machine. Zambelli S.r.l offers all film energy efficient shrink wrappers for multipack of beverage bottles and cans. The tray and film shrink wrapper is recommended for food cans. A wrap around + shrink wrapper combi-packer packs glass and plastic jars. 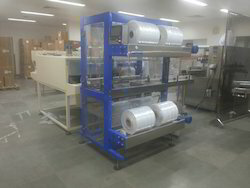 We are offering Shrink Wrap Machine to our clients. 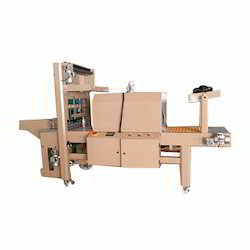 These machines are suitable for packaging of any product that is to be packed in either a complete carton or a half carton. Product units placed inside the carton are placed on the continuous conveyor of the machine that are pushed through the wrapping zone, tunnel and cooled to give a very tight packet.